FIT instructor for private lessons. At the end of the day you can rest from the strain in the two restaurants, or further relax in the spa. 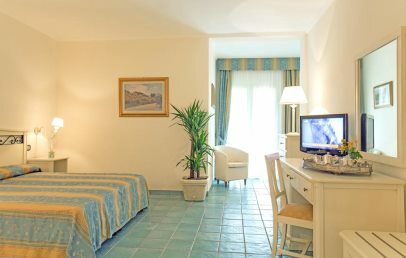 All rooms have been recently refurbished. The Hotel Biodola enjoys the privilege of being located on the charming bay of Biodola, the most exclusive on the island of Elba, where Mother Nature has been particularly generous by creating a scenery of great beauty where the green hills, the sandy white beaches and the crystal clear sea create a magic of colours. 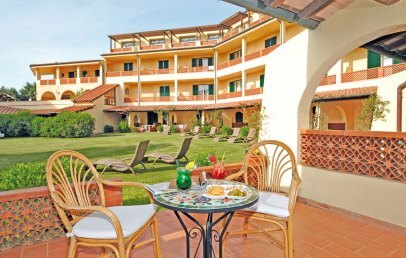 Its guests can enjoy, in addition to the beach in front of the hotel, the nearby beaches of Scaglieri, Forno and Ghiaie, of which the latter is known for its white stones. The centre of Portoferraio is at 7 km distance and the airport of Elba Marina di Campo 10 km. Located in a park of 40 acres with direct access to the beach (at only 100 m), this modern four-storey building is surrounded by a lovely garden with trees and flowers typical of the Mediterranean. In the central building of the Hotel Biodola there are the rooms and all the services such as reception, restaurant, bar and swimming pool with panoramic terrace. A happy reality of Tuscan tourism, characterized by the quality of service provided and for its class in welcoming the guests. Ideal for families, for young couples, will make unforgettable moments of your vacation. The Hotel Biodola has 88 rooms, most of them have a large terrace and they are all located in the main building. 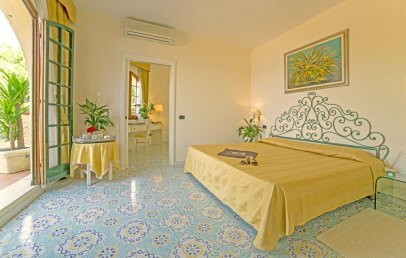 According to size and exposure the rooms are divided in Standard, Classic and Sea View. Moreover it has some Junior Suites, which are more spacious and are elegantly furnished. All of them are comfortable and equipped with modern amenities: air conditioning, Wi-Fi connection, minibar, hairdryer, satellite TV, safety box. The main restaurant, located in the main building has a wide window facing the pool, features a fine Italian cuisine and is renown for its high quality service that makes the customer’s satisfaction. The breakfast is a buffet whereas in the evening the dinner is served at the table. At the is open for lunch the restaurant “Maitù” à la carte. Once a week the Hotel Biodola organizes a dinner with a Tuscan menu. For the more romantic people we recommend the beach bar where in the evening you can enjoy fine cocktails while admiring the breathtaking natural spectacle of the sunset. Following facilities offers the Hotel Biodola: private beach with beach service inclusive of one umbrella and two sun beds per room, parking, internet point at the hotel, reception service 24h, mini club for children aged 4 to 12 years (from 15.06 to 15.09), baby-sitter on request and against payment. Two times a week in the evening there is a soft entertainment at the piano bar. We also recommend a visit of the charming old town of Portoferraio, lovely village where several cultural events take place during the summer months. It has a large seawater swimming pool that opens onto a peaceful sunbathing lawn, a small thermal pool with whirlpool, soccer field, volleyball. 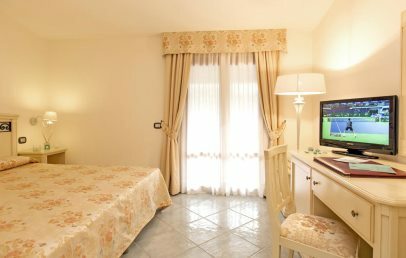 There are also 8 tennis courts (clay courts), a 9-holes golf course, diving centre, spa and fitness centre located in the hotel of the same property, the sister hotel Hermitage, a few meters away. At the SPA you can take some time to relax or simply let yourself be tempted by a regenerating treatment. Spacious Junior Suite located on the second floor of the hotel. 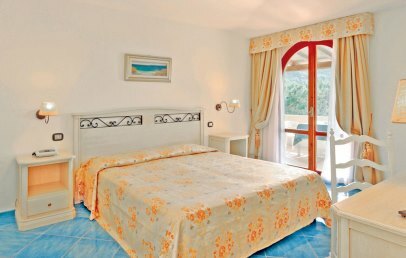 They are furnished in a classic style with light coloured wooden furniture, curtains and nice draperies. Moreover they offer a comfortable living area. 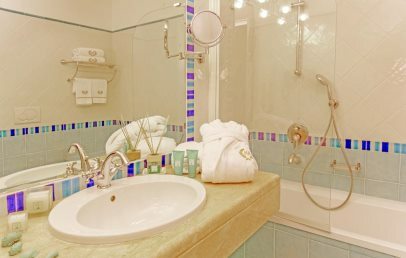 The bathroom, covered with Italian ceramic or travertine-tiled, has a whirlpool tub, hairdryer, slippers, hairdryer, bathrobes and courtesy set “Acqua dell’Elba”. 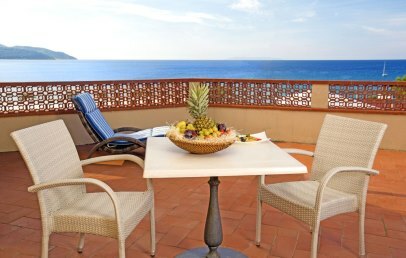 The Junior Suites overlook a terrace with beautiful view over the sea and furnished with table, chairs and loungers. Cosy double rooms located in every floor of the hotel. 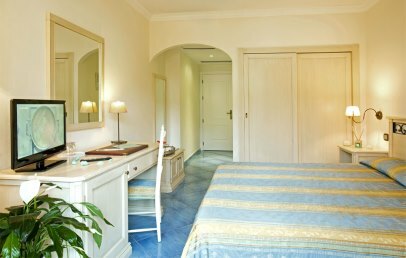 The rooms have a classic light coloured wood furniture, curtains and draperies. 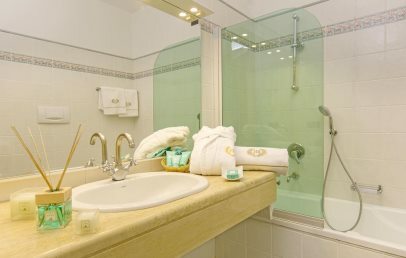 The bathroom, covered with Italian ceramic or travertine-tiled, has a tub with shower, hairdryer and courtesy set “Acqua dell’Elba”. All rooms have a garden view balcony furnished with table and chairs. Cosy double rooms located on the first, second or third floor of the hotel. 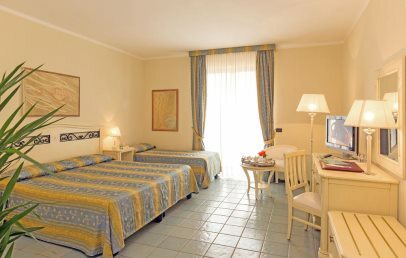 The rooms have a classic style with light wood furniture and curtains and nice draperies. 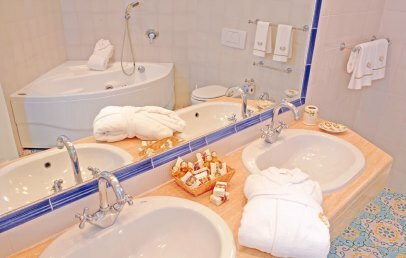 The bathroom is covered with Italian ceramic or travertine-tiled and has a tub with shower, hairdryer and courtesy set “Acqua dell’Elba”. 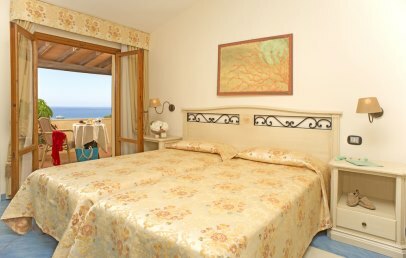 These rooms have a sea view balcony furnished with table and chairs. Rooms with connecting door on request. Cosy double rooms in the back of the hotel. The Standard rooms have a classic light wood furniture. 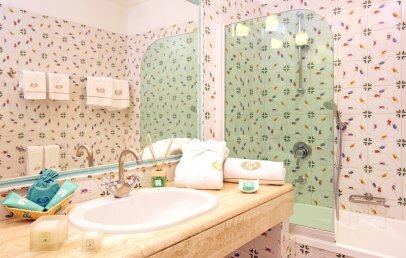 The bathroom, covered with italian or tavertine tiles, has a tub with shower, hairdryer and courtesy set “Acqua dell’Elba”. All rooms have a hill view balcony furnished with table and chairs. 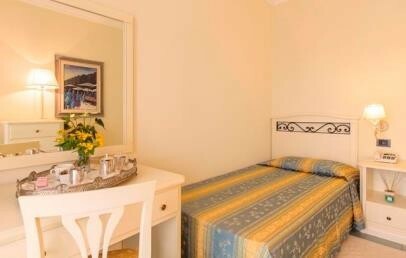 Comfortable Single room furnished in a classic style with light coloured wood furniture. 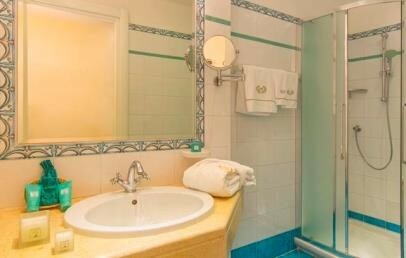 The Italian ceramic or travertine-tiled covered bathroom has a shower, hairdryer and courtesy set “Acqua dell’Elba”. It has a balcony, furnished with table and chairs, with garden view. Early Booking - Book within April 30th 2019 and get a 10% reduction on your stay (stays from April 19th to June 15th)! Early Booking - Book within June 30th 2019 and get a 10% reduction on your stay (stays from September 16th to October 13th)!